17th annual Autumn Festival highlights cultures of Asia. Cultural performances during the festival will include taiko. 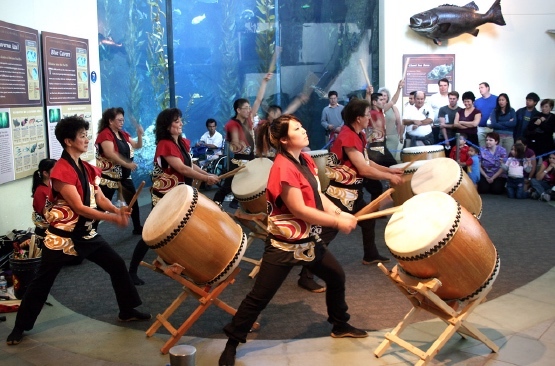 LONG BEACH — Delve into the arts, cuisines, cultures, and marine environments of Asia during the Aquarium of the Pacific’s 17th annual Autumn Festival on Saturday and Sunday, Nov. 17-18, from 9 a.m. to 5 p.m. The festival highlights the traditions and cultures of Japan, China, Korea, and the Philippines through a weekend of learning opportunities and family entertainment celebrating the rich diversity of Asian and Asian American cultures. It will feature traditional crafts, music, dance, demonstrations, cultural arts exhibits, ethnic cuisine, storytelling, and more. Move to the sounds of taiko drumming, watch dancers, acrobats, and martial arts demonstrations. Try your hand at origami, and purchase hand-made crafts. The Aquarium of the Pacific will present its Heritage Award to Rodney Kageyama on Sunday, Nov. 18, at 1:40 p.m. 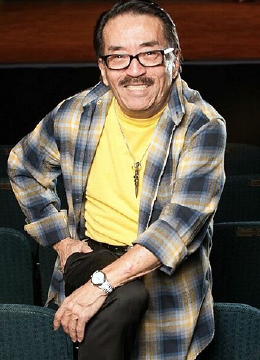 He has been an actor, animal advocate, and community leader for more than 35 years. Based in Los Angeles, he calls Little Tokyo home because of his charity volunteer work with the Japanese American National Museum, Japanese American Community and Cultural Center, East West Players, Nisei Week, Cherry Blossom Festival, and Asians For Miracle Marrow Matches. Aquarium of the Pacific is located at 100 Aquarium Way in Long Beach. Autumn Festival is included with general admission: $29.95 adult (12+), $26.95 senior (62+), $17.95 child (3-11), and free for children under 3 and members. For information or tickets, call (562) 590-3100 or visit www.aquariumofpacific.org.